Not ‘the’ BBC but a new local brewing outfit the Birkenhead Brewing Company who’ve opened a tasting studio in the village of Birkenhead. Since also a reader asked in comment what I thought about this particular beer I felt it appropriate that I oblige with some arbitrary thought and opinions. Welcome to the flagship of the BBC – Kauri is a ‘no expense spared’ premium example of the Double IPA style, this beer is delivered on solid base of Gladfield malts and showcases tactile use of New Zealand Hops which are allowed to shine with support from less flavour-dominant American varietals. So, what could possibly go wrong? 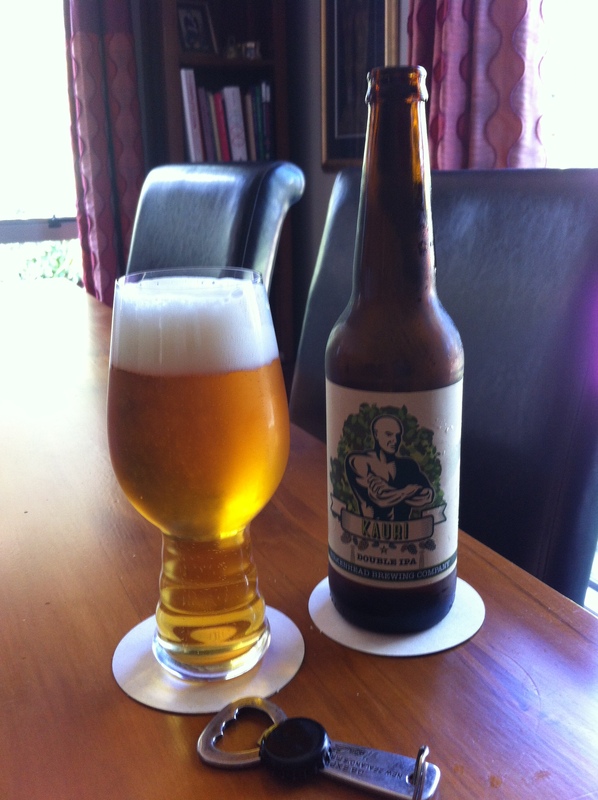 Well the education you get on Kauri forests was great but what about the beer. There is a sharp pine and oily reason note on opening this, as it did with a quiet hiss. Pour is quote orange and bright with a lovely rise white head that is in itself very bright, and big, this has a lovely looking carbonation. Aroma in the glass is grassy and that still oily resin note. Taste is sharply bitter and that orange is more like a bitter marmalade taste, it’s quite needle sharp. Also there is that spicy pepper like roughness in the carry, and the finish surprisingly is quite nice, not at all dry, but leaves a strong after linger taste that seems, with that oily note to have covered the whole mouth. It is very intriguing, and it is a nice IPA or dIPA, which as it warms gives you more of that hop roughness or dryness, and then a funny thing happened. Nothing actually happened the beer just tilted slightly but was just as nice and equally as enjoyable. I bet this is a belter on the taps, and since they are daily local I might just make an effort and go and visit because it would be polite and proper. The pdubyah-o-meter rates this as 8 of its things from the thing. It really isn’t earth shattering or trend-setting, but it is a really pleasing beer to drink, it’s nice they’ve gone for drinkability over hop-shock value, and this is such a bonus. For a new brewer with hopes and dreams this really is a flying start. Am I enjoying it? I am because it really is quite nice drinking. Would I have another? I would love to try this on a tap, because I think it might be better. Where can I get me some of this? Those nice people at Liquorland in Forrest Hill have these on the shelf and they love them. Would I share with a friend on a porch and set the world to rights? I’d be tempted because this is a local beer, and has a great local story connection if only by history and not actual connection. If you like tasty IPA beers without wanting a hop shock this would be a good start. Nice post. Wondering if it is slightly outside guidelines for DIPA. 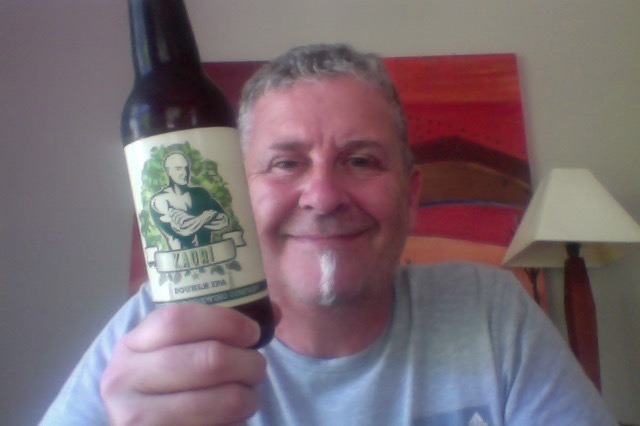 This entry was posted on January 23, 2016 by Philip Walter in All about me, BBC, Beer, Beer of New Zealand, Beer Review, Craft Beer, Critic, Imperial/Double IPA and tagged Alcohol by volume, BBC Kauri Double IPA, Birkenhead Brewing Company, craft beer, India Pale Ale, New Zealand.